Hello Again, Well here we are, as promised no stitched cards this time. I got this idea from a friend, and within a week of seeing it, Barbara Gray (Clarity Stamps) showed it on her blog and then on TV. So I thought, I had to have ago. You need the following items:- Candle, stamp, Versamark or Perfect Medium, embossing powder, tissue paper, waxed or grease proof paper and a heat tool. 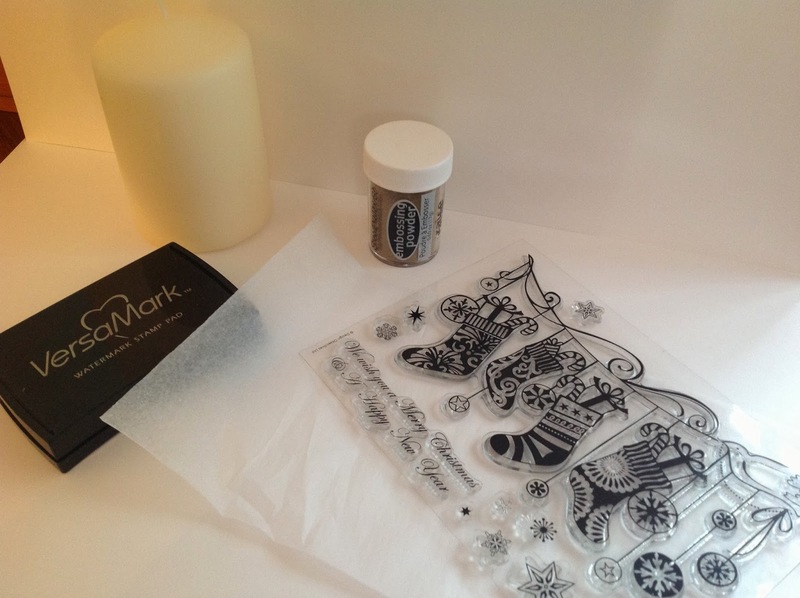 Stamp the image onto the tissue paper, cover with the embossing powder and heat with heat tool. Cut closely around the embossed image. 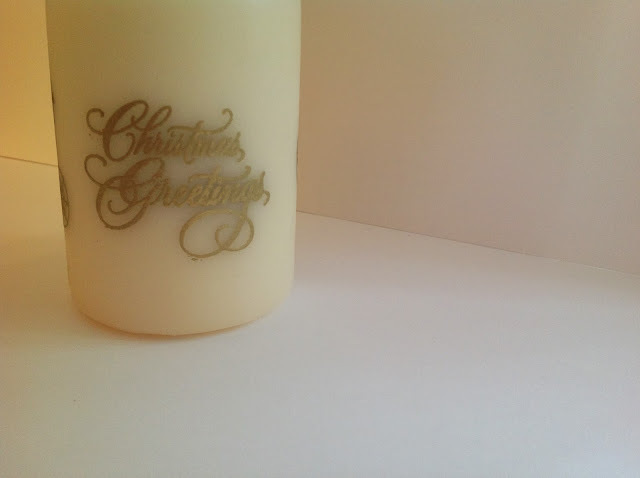 Place the embossed image onto the candle with the embossed image facing out, then cover with a strip of grease proof pager holding it tight around the candle. While holding this in place heat with the heat tool. 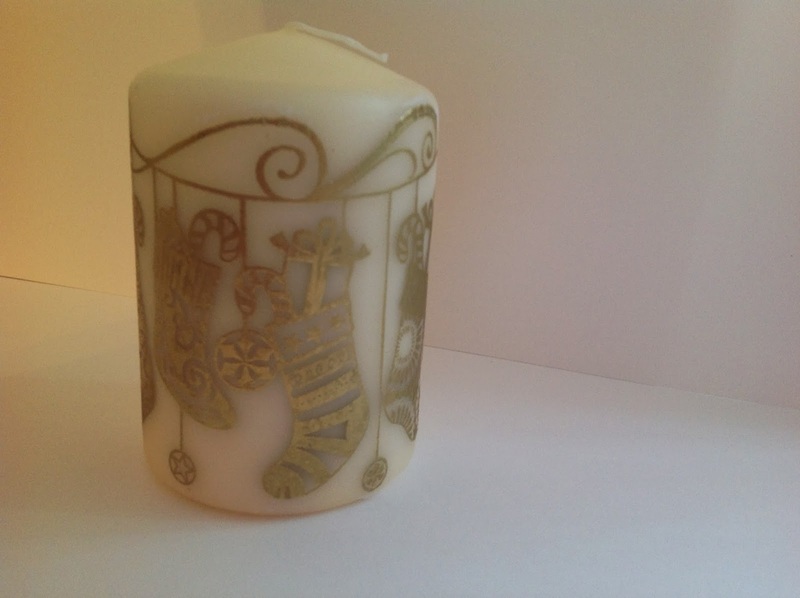 Take care not to over heat, it doesn't take long to melt onto the candle. 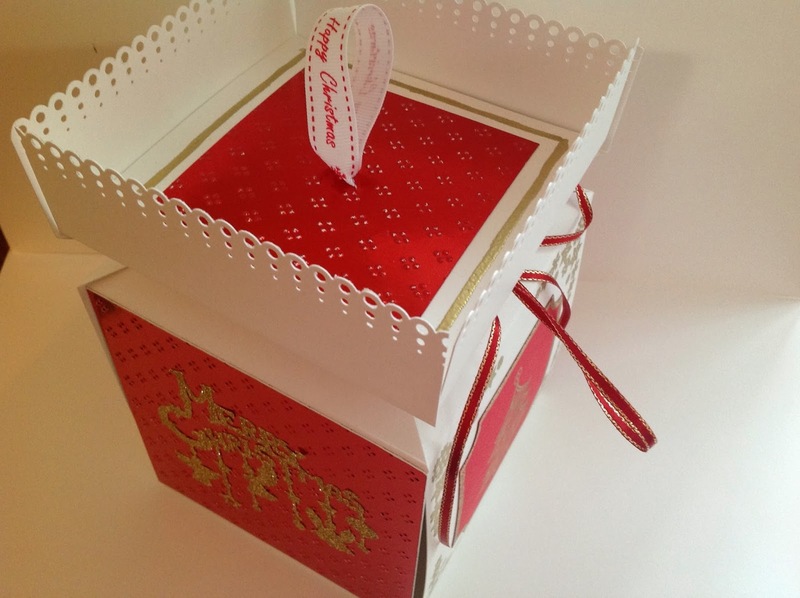 I then made this gift box to put the candle and stand into. I will show you how I made this on another blog. 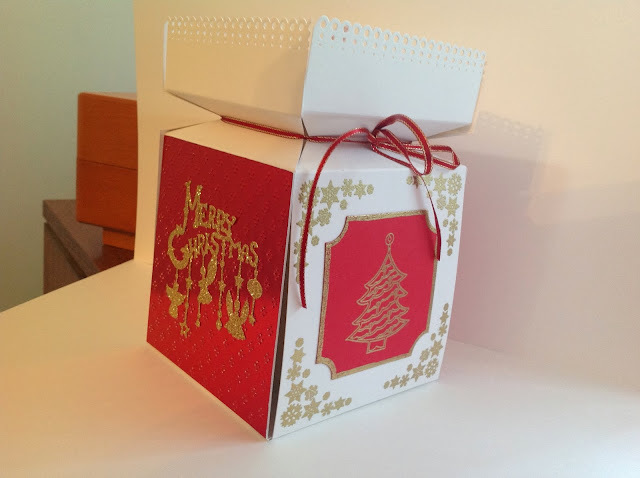 It is really good to make a cheap candle look a bit more special, and it makes it even more expensive looking with the gift box. Hope you like this idea, let me know what you think.